World’s largest investor warns companies will be probed for repatriated cash use, and voices concern at continuing high levels of share buybacks. BlackRock, the world’s largest investor with $5trn under management, has warned US companies that they will be closely scrutinised for what they do with cash repatriated under the terms of a tax holiday expected to be introduced by Donald Trump. 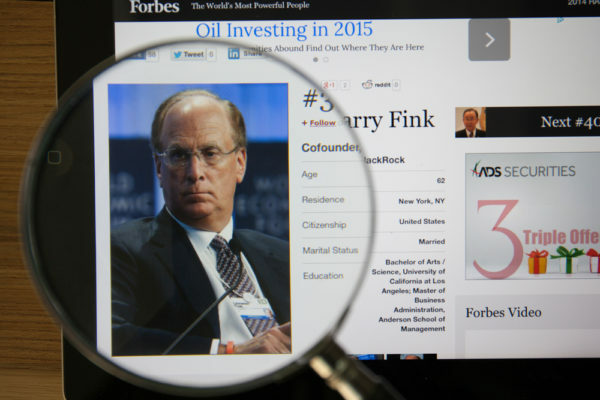 The warning came in the annual letter to company leaders from BlackRock’s chief executive Larry Fink. He expressed concern about the continuing high levels of share buybacks and its impact on long-term company growth. He pointed out that for the 12 months ending in the third quarter of 2016, dividend and buyback values in the S&P 500 exceeded the index’s operating profit. “While we certainly support returning excess capital to shareholders, we believe companies must balance those practices with investment in future growth. “Companies should engage in buybacks only when they are confident that the return on those buybacks will ultimately exceed the cost of capital and the long-term returns of investing in future growth,” wrote Fink. He added: “If tax reform also includes some form of reduced taxation for repatriation of cash trapped overseas, BlackRock will be looking to companies’ strategic frameworks for an explanation of whether they will bring cash back to the U.S., and if so, how they plan to use it. Fink’s letter was also threaded through with BlackRock’s expectation that companies should be developing long-term, sustainable strategies. He pointed out the markers for good long-term thinking and added that events in 2016 had only made such strategies more important. There was also a warning that long-term strategies did not equate to endless patience. “As we seek to build long-term value for our clients through engagement, our aim is not to micromanage a company’s operations. Instead, our primary focus is to ensure board accountability for creating long-term value.